I have a special post for you all today. 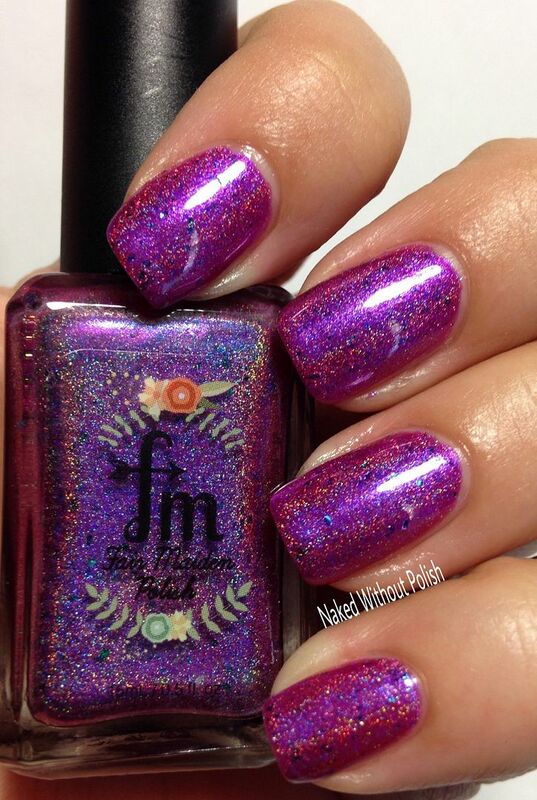 Fair Maiden Polish and Different Dimension have teamed up with Crystal's Charity Lacquers to bring awareness for MS. 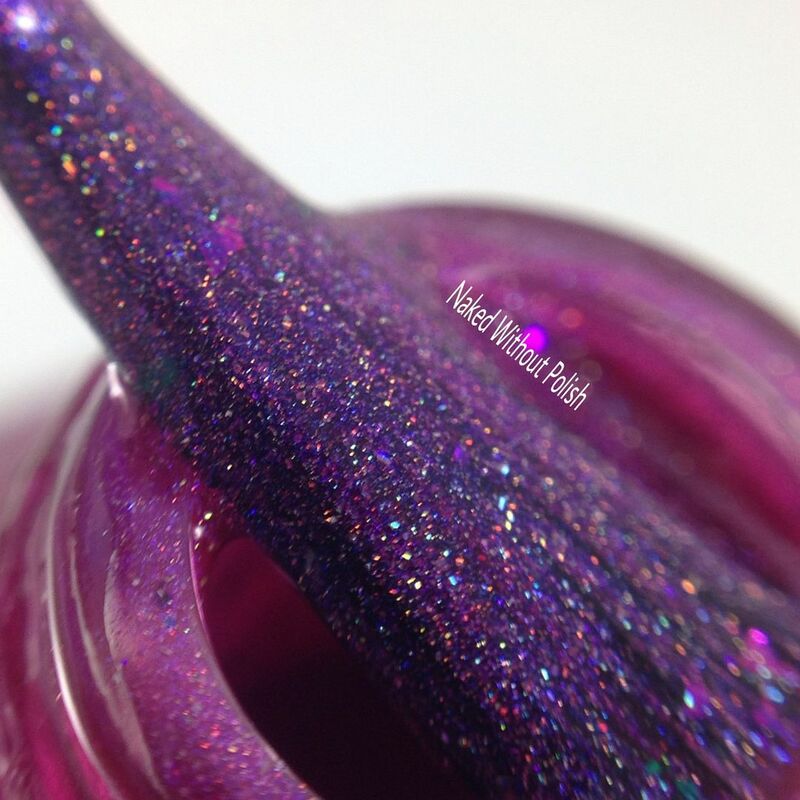 While both brands are working with Crystal's Charity Lacquers this month, I only have the polish from Fair Maiden Polish to show you all today. It's MS Month in Canada. This one is definitely near and dear to Crystal's heart, as she has had to watch her mother battle MS for over 30 years. Crystal will be doing the MS Walk so the donations will be made via her fundraising for the walk this month. Keep reading to find out more! 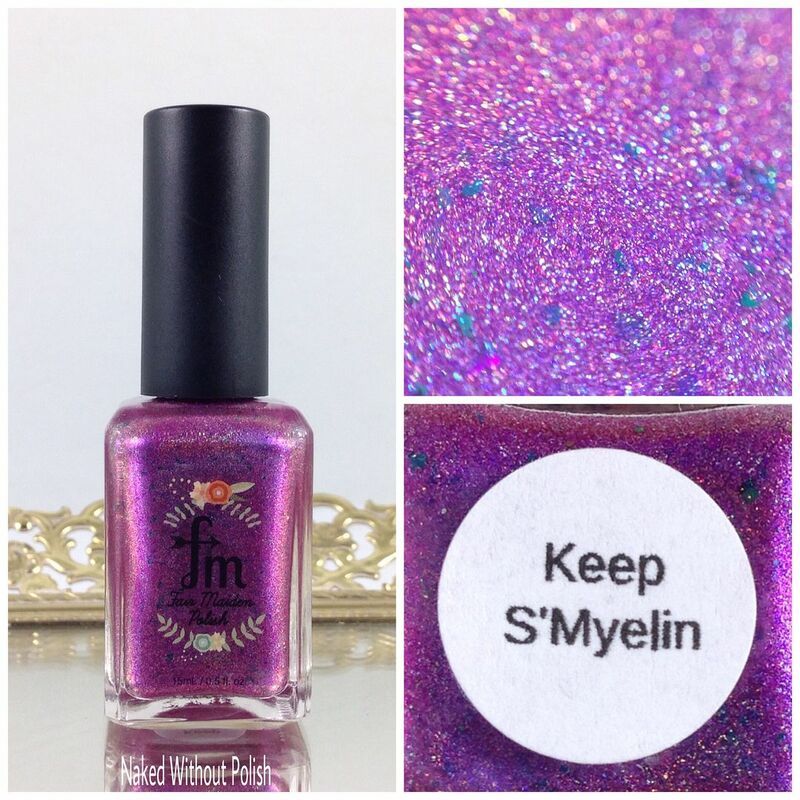 Keep S'Myelin is described as "a magenta holo with violet flame, and shifting blue-green chrome flake". Shown is two coats of Keep S'Myelin with Up to Speed Top coat. Keep S'Myelin applied like an absolute dream. Super smooth formula and zero issues. I didn't even have to do any clean up. 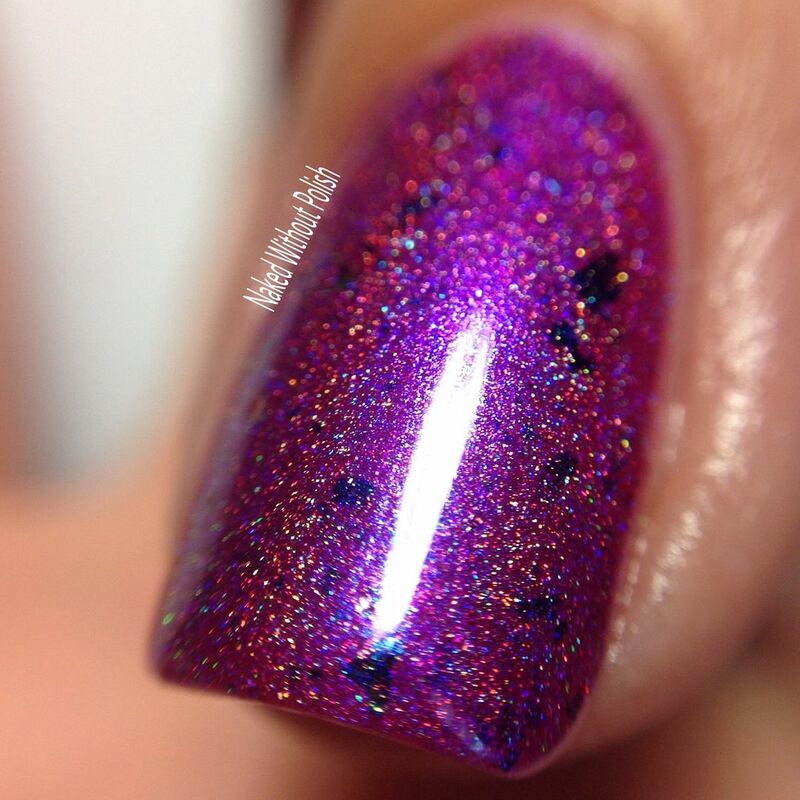 Two coats will give you a fully opaque maicure. Keep S'Myelin is inspired by myelin. Myelin is the protective sheath that surrounds our nerves. MS attacks this myelin sheath which results in the interruption or complete disruption of the transmission of nerve impulses through the nerve fibers. 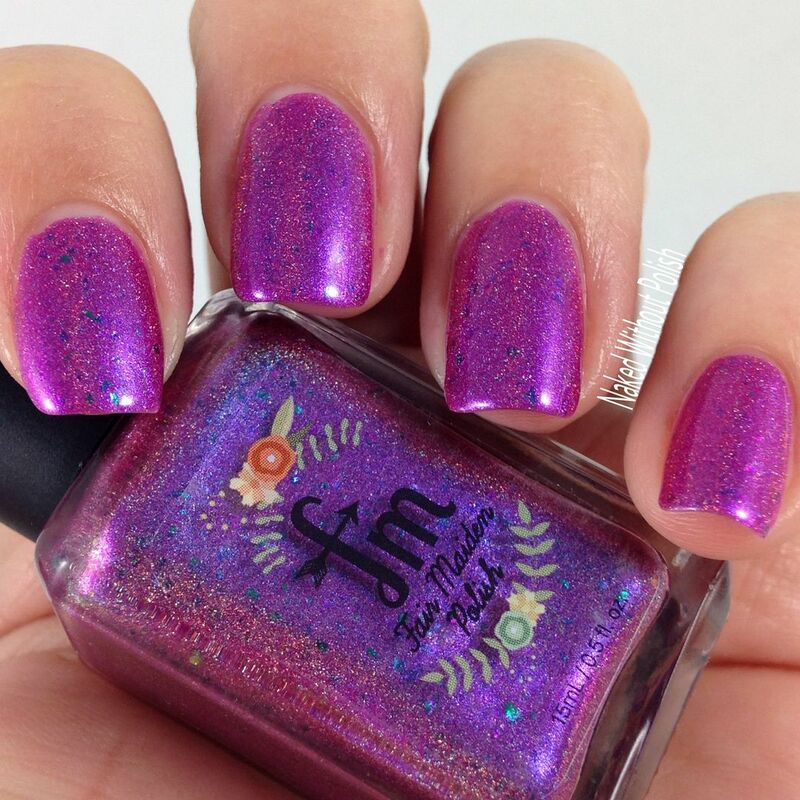 Keep S'Myelin will be available to pre-order at http://fairmaidenpolish.com from May 12th at 3 pm PST through May 26th for $11. 20% of each bottle sold will be donated to MS research via Crystal's MS Walk fundraiser when she participates in the MS Walk on May 28th. 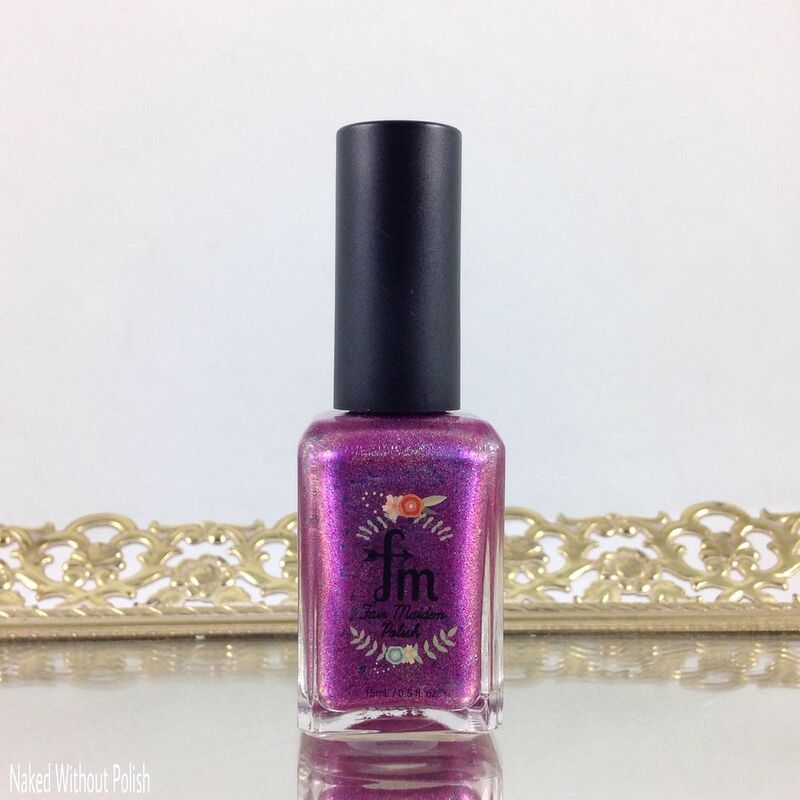 Make sure you are following Fair Maiden Polish on all of her social media platforms (links below) to stay updated on news, releases, and sales. What do you all think of this beauty? Is this one you'll be picking up? Don't forget to check out the three polishes Different Dimension created to help benefit this charity too!